A bomb was diffused outside Al-Azhar University branch of the northern coastal city of Damietta, head of security told Al Jazeera. 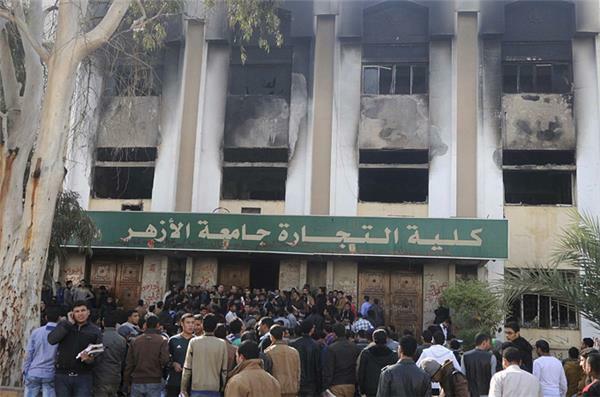 A big fire broke out at the faculties of Agriculture and Preaching in Al-Azhar University in Cairo, as clashes renewed between anti-coup students and security forces. Police stormed the campus firing tear gas and birdshot and rubber bullets at crowds gathering to protest the July 3 military-led ouster of Islamist President Mohamed Morsi. Elsewhere in Egypt, a series of explosions have been reported in El Arish, in the northern Sinai desert. Several rocket-propelled grenade (RPG) rounds were fired at a security building, resulting in no casualties. An exchange of gunfire was heard after that. The assailants reportedly escaped, but security forces have cordoned off the area and are conducting a search. A second student from Al-Azhar University has died after incurring gunshot wounds during anti-coup protests earlier today. A third student remains in critical condition, suffering from gunshot wounds to the head, and is in a hospital operating room now. Human Rights Watch (HRW) has accused the interim Egyptian government of being "politically driven" in its declaration of the Muslim Brotherhood as a terrorist organisation earlier this week. HRW said the military-backed government "appears to be aimed at expanding the crackdown on peaceful Brotherhood activities and imposing harsh sanctions on its supporters". The New York-based rights group urged the government to reverse the decision. “The government’s decision on the Muslim Brotherhood follows over five months of government efforts to vilify the group,” said Sarah Leah Whitson, HRW's Middle East and North Africa director. "By rushing to point the finger at the Brotherhood without investigations or evidence, the government seems motivated solely by its desire to crush a major opposition movement,” she said. Anti-coup student protesters returned to the streets in peaceful rallies in defiance of an ant-terror law that led to the killing of no less than five students since it was passed by the government on December 25. Youssof Salheen, a student at Al Azhar University and spokesman for the Students Anti-Coup Movement, said a student in the School of Commerce was killed during Saturday's protests which drew tens of students. 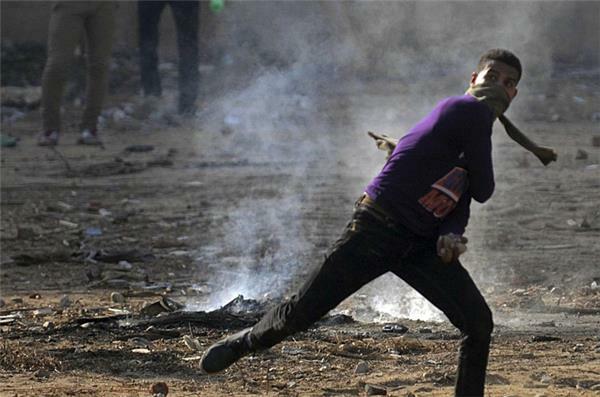 Security forces were firing tear gas at gathering crowds. Human Rights Watch has urged the Egyptian government to reverse its decision of designating the Muslim Brotherhood as a terrorist group, which it says is aimed at expanding the five-month crackdown on the group's peaceful protests. 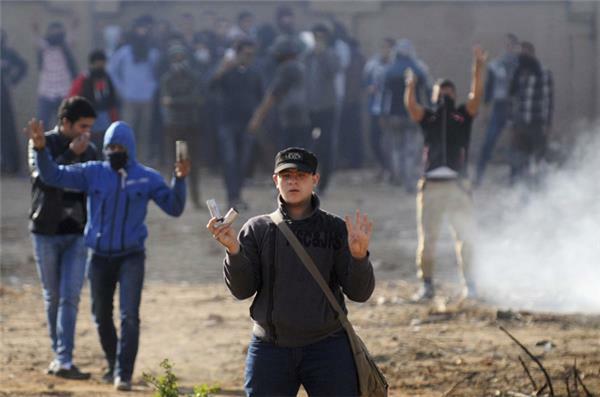 “By rushing to point the finger at the Brotherhood without investigations or evidence, the government seems motivated solely by its desire to crush a major opposition movement,” said Sarah Leah Whitson, the human rights watch-dog's Middle East and North Africa director. As part of the anti-terror law, the bank accounts of over 1,000 nongovernmental organizations reportedly linked to the Muslim Brotherhood have been frozen, drastically affecting health services in Egypt, much of which Brotherhood-linked charities provide. The government has also begun procedures to seize over 140 Brotherhood-affiliated schools and to freeze the assets of over 130 of its senior leaders. This photo reportedly shows a woman being dragged by Egyptian security forces earlier today in Nasr City. The Egyptian Ministry of Interior has reported that a third protester has been killed in Cairo, according to Reuters news agency. At least 265 anti-coup protesters have also been detained across the country. 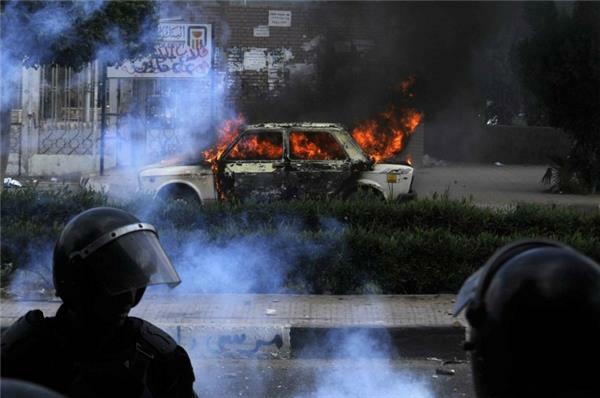 Elsewhere, three police officers, including the deputy head of police in Menia province, were injured in clashes, while a total of three police cars were set ablaze, ministry sources told Al Jazeera. Egypt's army chief General Abdel Fattah al-Sisi has vowed to fight "terrorism" and stabilise the country, in his first comments after two bombings rocked Egypt this week. "Do not worry or fear, the army will sacrifice for Egypt. 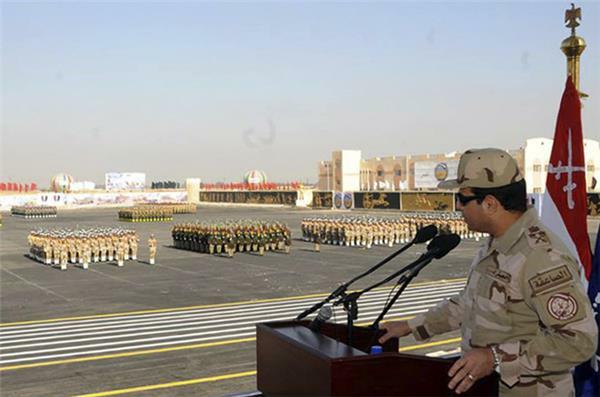 We will eliminate" terrorism, Sisi said at a military ceremony on Thursday. "Do not allow these terrorist actions to affect you. If you want freedom and stability, which is not achieved easily, then you have to trust God and your army and your police," said Sisi, in a statement released by the army. 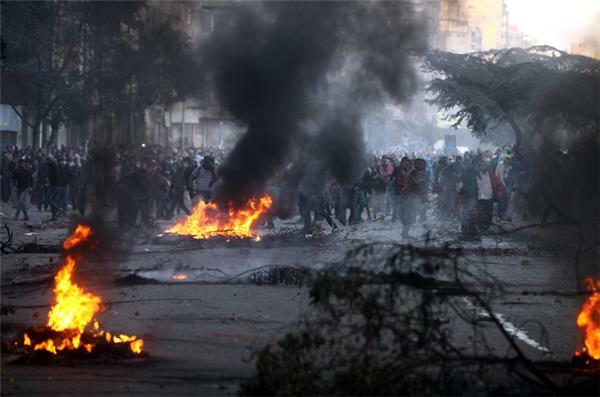 On Tuesday, a bombing at a police station in the Nile Delta city of Mansoura killed 14 people and wounded many others. 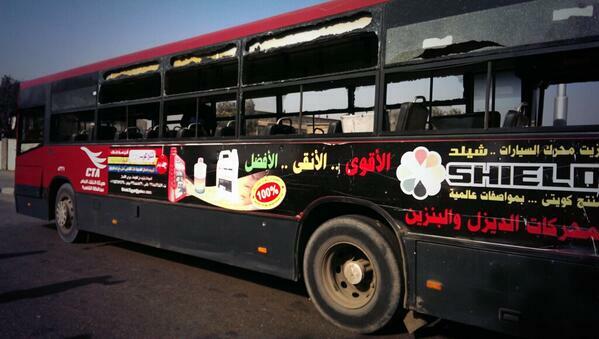 A bomb exploded near a bus in Cairo on Thursday, wounding five. Sisi, who led the ouster of former President Mohamed Morsi, said the Egyptian defence forces had the capability to make Egypt "stable, secure and progressive". Seven Muslim Brotherhood members have been detained for a renewable two-week period in the city of Alexandria and 11 others in the Nile Delta town of Zagazig, Egypt's official MENA news agency has reported. support of the group and "inciting to violence," the agency said. The interim Egyptian government declared the Muslim Brotherhood a terrorist organisation on Wednesday, giving authorities greater freedom to crack down on the group. Possessing Muslim Brotherhood literature, or supporting them "verbally or in writing," is punishable by up to five years in prison, an Interior Ministry statement said. Egyptian prosecutors have ordered the arrest of seven Muslim Brotherhood members, including an ex-lawmaker, on accusations of belonging to a terrorist group, according to Egyptian state media. The seven members include the son of a deputy leader of deposed Egyptian president Mohamed Morsi's party, the official MENA news agency reported. Head of Explosives' Department at the Ministry of Interior General Alaa Abdel Thaher has said that all injured people from the blast were transferred to a hospital, with one in a critical condition. A bomb went off in a public transport bus in the Egyptian capital on Thursday, wounding five people, security officials and a medic said. Security officials said they were investigating whether the bomb had been placed on the bus or hurled by an assailant. The victims received mild to moderate injuries, a health ministry official said. 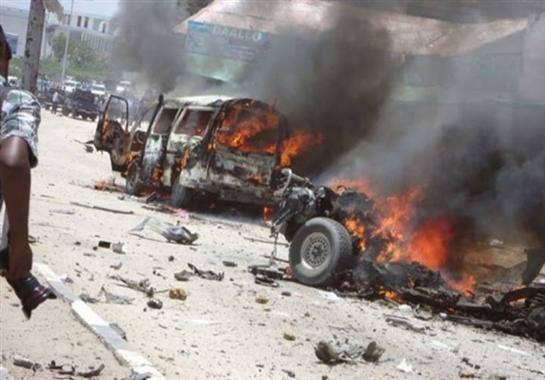 Militants have killed scores of policemen and soldiers in attacks since the military's overthrow of president Mohamed Morsi in July, but this appeared to be the first bombing of a civilian target. The bombing took place on a busy street in the north Cairo neighbourhood of Nasr City, the officials said. In effort to stem #MB funding, #Egypt govt freezes funds of over 1000 #NGOs . What happens to all those who depend on charity? Five people have been killed and 62 injured in an explosion in the city of Mansoura, according to Egypt's Ministry of the Interior. This is the second incident within months, with indications pointing to inside information known to the perpetrators. No one has claimed responsibility for the attack. Al Jazeera's Mohamed Fahmy said that people in the area were in a state of fear due to the extent of the damage. A prominent pro- Muslim Brotherhood cleric Youssef el-Qaradawi, has been charged alongside deposed Egyptian President Mohamed Morsi, according to an Egyptian prosecution official, speaking on condition of anonymity because he was not authorised to speak to reporters. Qaradawi is an Egyptian based in Qatar. On Saturday, Morsi and several others faces charges for allegedly organising prison breaks during the 2011 uprising against President Hosni Mubarak. Authorities said the jailbreaks were part of an organised effort to destabilise the country. Investigative Judge Hassan Samir on Saturday said other Brotherhood suspects in the case include the group's leader Mohammed Badie, his deputy Mahmoud Ezzat, who is still at large, former Parliament Speaker Saad el-Katatni and others. A prosecution statement from Samir's office didn't name all the 129 defendants. A security official in Egypt said on Friday clashes between soldiers and wanted al-Qaeda-inspired fighters in the northern Sinai Peninsula have killed two soldiers and wounded eight. The official said heavy gunfire rocked a village called el-Mahdiya along the border between Egypt and the occupied Gaza Strip. He said troops backed by armoured vehicles were fighting against three of the most-wanted Ansar Jerusalem fighters, including Shadi el-Manaei, a suspected mastermind of the previous attacks. The official spoke on condition of anonymity, because he was not authorised to speak to journalists. A prosecutor has ordered the arrest of an Egyptian man whose 15-year-old son was detained last month for bringing a ruler with a Muslim Brotherhood symbol on it to school, the family's lawyer said. The father, Mohamed Abdulghani Bakara, was accused of encouraging his son Khaled to bring the ruler to the classroom, the lawyer said, in a sign of a widening crackdown on the organisation since the army ousted former president Mohamed Morsi of the Brotherhood in July. Lawyer Amr Abdel Maksoud told the Reuters news agency there was no legal basis for the charges and arrest warrants issued in the Nile Delta town of Kafr el-Sheikh. "They (the prosecution) are helping the army dominate the country," he said. Khaled remains in detention on suspicion of inciting violence, slandering the Egyptian army and membership of a banned group, legal sources said. Two of the boy's teachers, Ashraf Raslan and Hamidou el Kheish, also faced charges of "spreading chaos among school students" by persuading him to keep the ruler, judicial sources said. "It shows the targeting of people not even on the basis of membership (in the Brotherhood), but also based on perceived allegiance or affiliation," said Heba Morayef of campaign group Human Rights Watch. She said the case is a way of intimidating voters ahead of the January 14 and 15 referendum on whether to accept the new constitution. The vote on Egypt's constitution will replace the one passed under Morsi and pave the way for new presidential elections. Security forces have killed hundreds of Brotherhood supporters and jailed thousands more since July. The Brotherhood has won every election since 2011, but was banned by an Egyptian court in September. Supporters of deposed Egyptian president Mohamed Morsi will boycott a referendum on a new constitution next month and organise a campaign against the vote, a spokesman said Monday. The Anti-Coup Alliance led by Morsi's Muslim Brotherhood movement had initially considered calling on its supporters to vote against the constitution. But an extensive police crackdown on the Islamists has decimated their grassroots network, weakening their chances of defeating the new constitution at polls. "We reject any vote under military rule," said Hamza al-Farawy, a spokesman for the Anti-Coup Alliance, which demands Morsi's reinstatement. The referendum on January 14 and 15 is expected to ratify the new constitution, which replaces the one suspended by the military when it ousted Morsi in July. Inside Story - Egypt: A campus revolution? As Egyptians are divided over a fresh draft constitution, we look back to the Constituent Assembly's amendment under then-President President Mohamed Morsi. Egyptian troops have shot dead a fighter described as a leader of the Sinai group that claimed a failed attempt on the life of the interior minister and the murder of a high-level security official, the military has said. 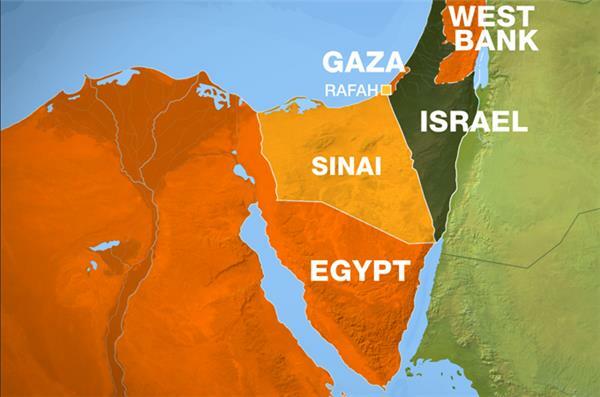 Attacks on soldiers and policemen in the Sinai Peninsula, bordering Israel and the Palestinian Gaza Strip, have become commonplace since the army ousted President Mohamed Morsi in July in the face of mass unrest over his rule. The Egyptian army said on Monday that Ibrahim Abou Eita was killed in an exchange of gunfire with soldiers near the town of Sheikh Zuweid in Sinai and it described him as a leader of the group Ansar Bayt al-Maqdis. The army referred to Abou Eita, also known as Abou Suheib, in a statement posted to Facebook as "one of the most dangerous"militants in North Sinai who had been sought for attacks on security forces in the region. Ansar Bayt al-Maqtis claimed responsibility for killing an official who security sources say had been due to testify in one of several legal cases against Morsi, and for a bid to kill Interior Minister Mohamed Ibrahim with a car bomb in September. A security official has said police have entered the campus of a Cairo university to quell a second day of protest by supporters of Egypt's ousted president. Students of Al-Azhar University have held persistent protests since the start of the academic year in September. The rallies have frequently descended into clashes with police. The head of university security, Mahmoud Subeiha, told Egypt's private CBC TV on Monday that he asked the police to enter the campus Monday to put down the protests. A security official said the students set a security vehicle on fire and threw fire bombs at police. Students rallied on Sunday against the referral of 21 of their colleagues to trial for earlier. Egypt: A case of selective justice? As more demonstrators appear in court, Inside Story looks back at the 12 pro-Morsi protesters sentenced to 17 years in prison and asks what is behind the verdict. Inside Story - Egypt: Will a tough legal approach work? State-owned Egyptian General Petroleum Corporation (EGPC) plans to launch bid rounds for 15 oil and gas exploration blocks this month, Adel Saeed, EGPC's deputy CEO said. "The bids will be for sites in the Gulf of Suez and the eastern and western deserts," Saeed told Reuters on Wednesday. The Nour Party, Egypt’s main Salafi bloc and the second-largest winner in last year's parliamentary elections, will publicly back the country’s draft constitution and urge its supporters to vote yes, despite an amendment that could lead to the party being banned, a senior member has told Al Jazeera. Prominent Egyptian youth leader Ahmed Duma has been arrested and ordered detained for four days for organising an unauthorised demonstration and assaulting security forces, judicial sources have said. Duma is the third pro-democracy activist to be detained within a week, as Egyptian authorities widen their crackdown on protesters since interim president Adly Mansour passed a law on November 24 that bans all unauthorised demonstrations. His wife, Nurhan Hefzy, told AFP earlier on Tuesday he had been arrested for participating in a violent protest outside a court. Arabia, Kuwait and the United Arab Emirates promised in July, days after the army toppled President Mohamed Morsi. 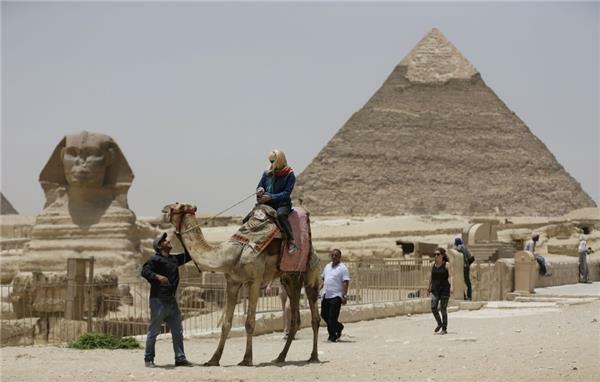 The International Monetary Fund and Egypt have sporadically discussed a possible loan worth up to $4.8bn to help the ailing economy since a 2011 uprising that toppled president Hosni Mubarak drove away tourists and foreign investors, two main sources of foreign currency. Any IMF deal, however, would require economic reform commitments that the government might find politically risky. Egypt's interim president has received the final draft of the country's amended constitution, setting the stage for a referendum on the revisions made by two secular-leaning panels to the 2012 constitution drafted under the ousted president. 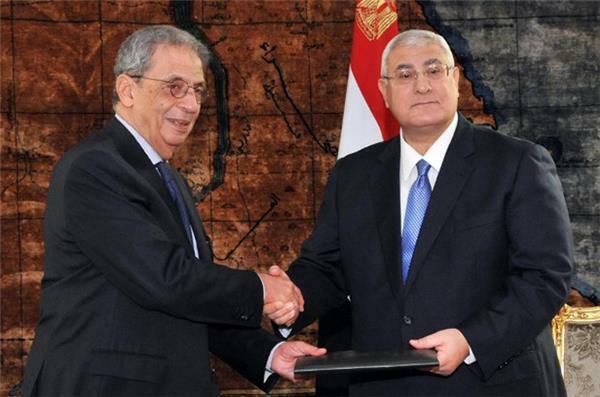 Adly Mansour, who took power after Mohammed Morsi's July 3 overthrow, received the draft on Tuesday during a meeting with the head of the 50-member, head Amr Moussa. Mansour has 30 days to call for a referendum which will be followed by presidential or parliamentary elections as part of a fast-track transition intended to lead to democratic rule. A draft Egyptian constitution completed on Sunday opens the way for a presidential election to be held before parliamentary polls, potentially changing the transition plan outlined by the army when it ousted President Mohamed Morsi. The original plan said a parliamentary election should take place before the presidential one. But the draft constitution avoids stipulating which vote should happen first. The draft constitution says the "election procedures" must start within six months from the date of the constitution's ratification, meaning Egypt may not have an elected president or parliament until the second half of next year. The change was announced by former Arab League secretary general Amr Moussa, chairman of the 50-member constituent assembly, as it completed its final draft on Sunday. The draft must now be put to a referendum this month or next. The change leaves it up to interim President Adly Mansour, to decide which election comes first, or whether to hold both at the same time. Mansour was installed as head of state after Morsi's ouster. Hundreds of protesters have taken to the streets in cities across Egypt and clashes erupted when police tried to break up some of the demonstrations, days after a hotly-disputed protest law was adopted. At least 70 people were arrested across the country on Friday, according to the interior ministry, which added that more arrests were expected throughout the night and that clashes were continuing in several areas. Protesters in the city of Giza threw Molotov cocktails at one police station where clashes raged for hours, the interior ministry told Al Jazeera. Violence between police and protesters also broke out in the country's second largest city, Alexandria, after Muslim prayers, with security forces firing tear gas to disperse hundreds of people. 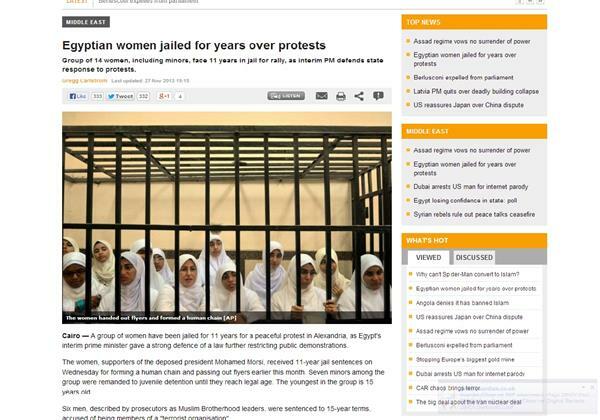 Group of women, including minors face up to 11 years in jail for a staging a peaceful rally. A group of girls have been sentenced to jail for 11 years for a peaceful protest in support of deposed President Mohamed Morsi. The women received sentences for for forming a human chain and passing out flyers earlier this month. The group included several minors, the youngest being 15 years old. The video blow shows 14 of the girls sentenced in court. 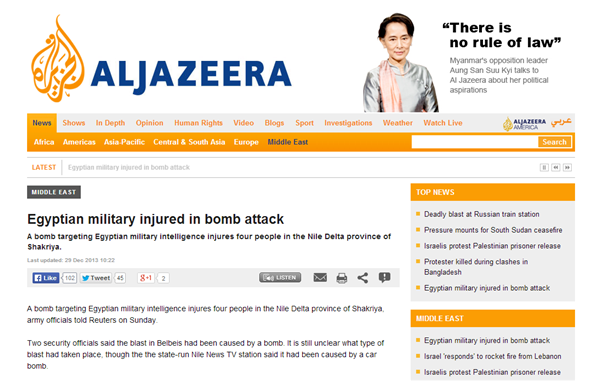 Al Jazeera cannot independently verify the video.